The Spenco 2nd Skin Squares are designed for general use on skin that is uncompromised and wound free. 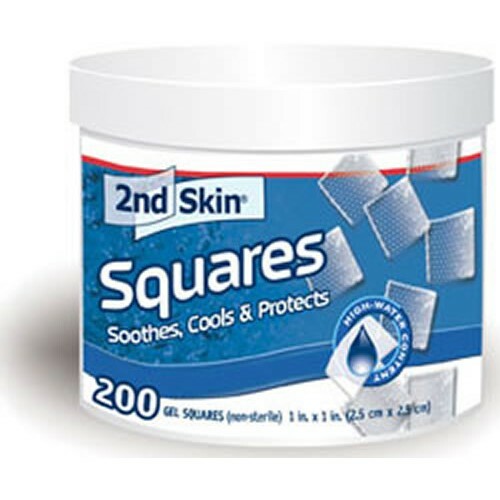 Spenco Second Skin Squares prevent skin chafing, rubbing, blistering, and protects the skin against pressure. These hydrogel pads are constructed out of 95% pure water, which gives them soothing and cooling properties. The Spenco 10-637 1 Inch Second Skin Squares provide instant relief that is non-irritating and odorless. It protects and cushions the skin and are easy-to-apply by simply removing the blue backing of the gel pad. It secures to the skin with an adhesive tape backing. It can easily be removed, even if the hydrogel dries on the skin, simply soak with water for instant removal. This hydrogel is designed for single use and should be changed daily. 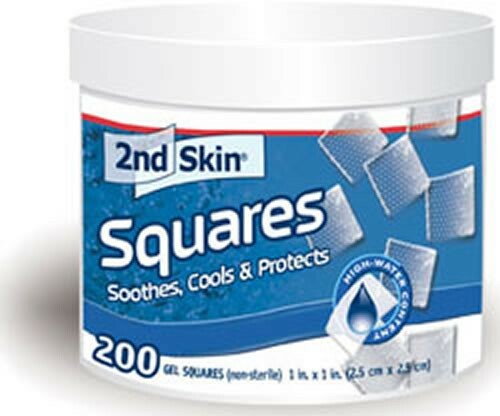 If squares are not the fit you are looking for, you may want to try the Spenco 2nd Skin Circles for soothing, cooling, and protecting patient skin.